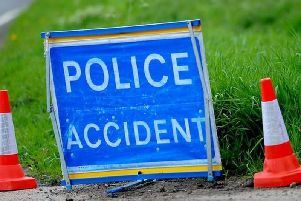 A man has been taken to hospital with serious head injuries affter his quad bike was involved with a crash in Halifax. The incident, involving the quad bike and a red Volkswagen Golf, happened at Moor End Road, Mount Tabor at 8.07am. The man has been taken to Leeds General Infirmary with serious head injuries, whilst the passenger on the bike received a leg injury. Gibb Lane in Mount Tabor is closed in both directions between the Moor End Road junction and the Grindlestone Bank junction because of the accident. The 512 bus service is being diverted via Mount Tabor Road and Balkram Edge due to the accident.